Since 1908, our family-owned business has earned a reputation for quality work and unmatched customer focus. 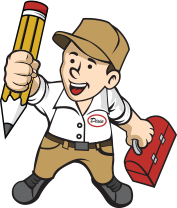 Dixie Electric, Plumbing & Air is Central Alabama’s trusted electrical, plumbing and air contractor. . Since 1908, our family-owned business has earned a reputation for quality work and unmatched customer focus.